Beerhouses | Ey Up Maiden presents: Caught somewhere in Turk. Dewsbury! For the very first time EVER Ey Up Maiden will bring their incredible and faithful live show to your town! 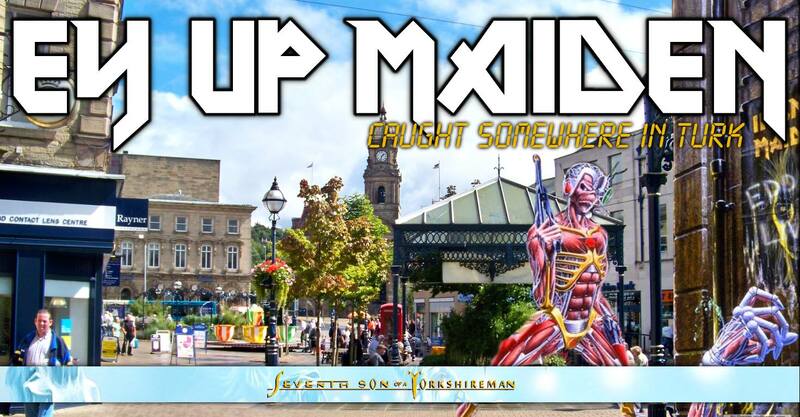 Hot off the heels of 2018’s “Yorkshire Slavery” tour Ey Up Maiden are back with a brand new exhilarating show for their 2019 “Seventh Son of a Yorkshireman” tour! Do not miss Yorkshire’s finest Iron Maiden tribute!